2.Color/shape sensitive product, such as sweet corn and sausage. Preheating the sterilizing water in the upper tank with steam, provide heat source to the sterilizing. 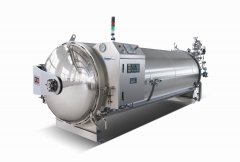 Raising temperature: preheated water fill the sterilizing tank quickly, initial temperature rises quickly. 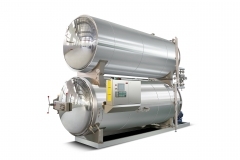 Sterilizing: sufficiently supplied steam heat recycle, heat distribution steady. 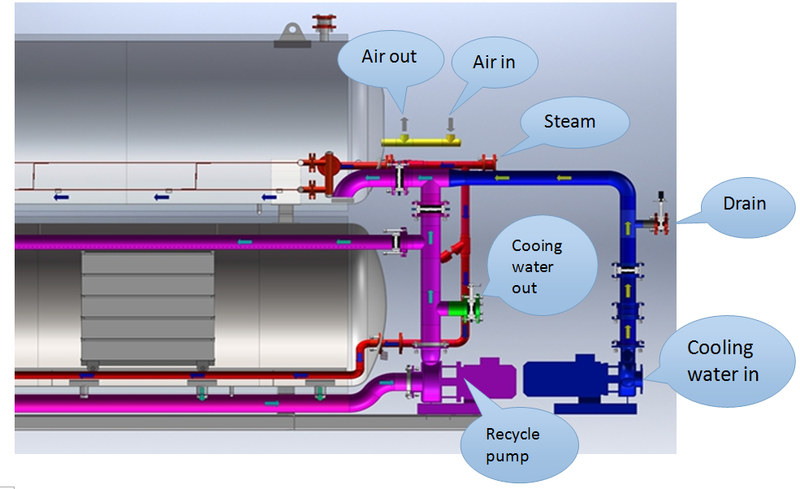 Cooling system: cooling water is injected to the retort to cool the food directly. 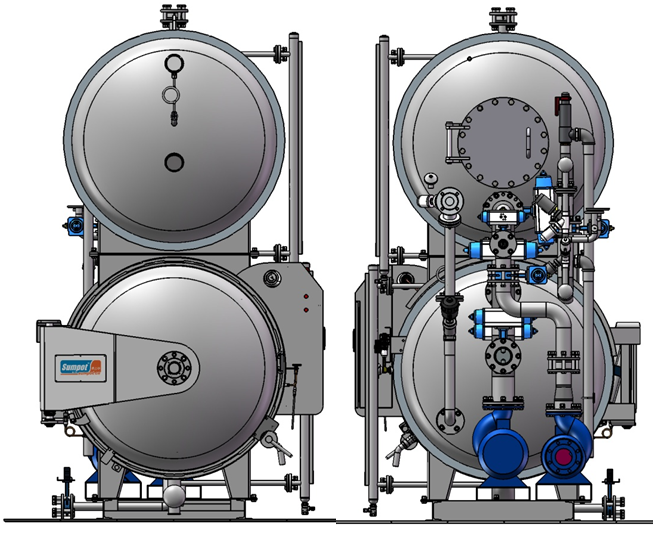 Three kinds of control system including manual、semi auto、full automatic PLC control are available. 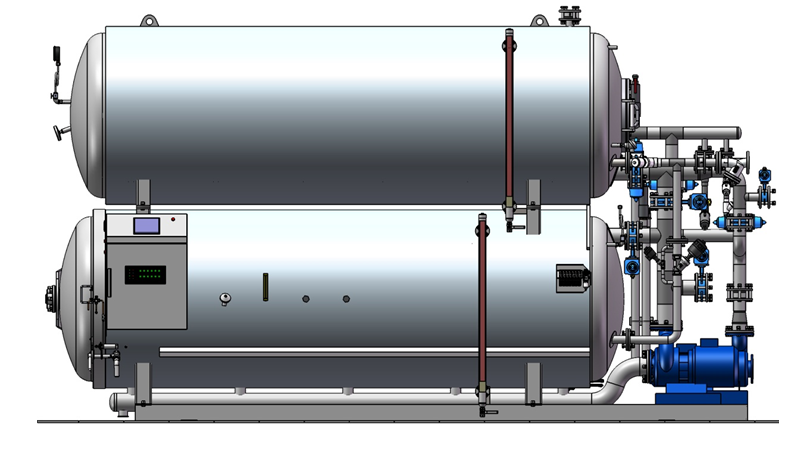 Double layer compact design, hot water preheat-store-recycle system. 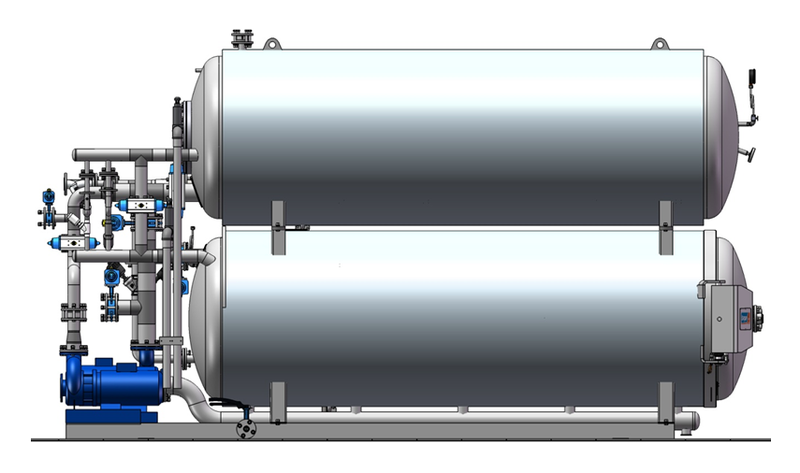 Water flow shift function, stir the water flow inside the retort, realized the temperature uniformity of the retort.